Here are some tips on how to look after your eyes, so that you can avoid eye health problems later on in life. Did you know that rubbing the sleep from your eyes in the morning, or even rubbing them while you are sitting at your computer because you are tired, can give you eye cornea problems in the long run? A swollen cornea or a distorted cornea as it is known is caused from rubbing your eyes too hard over time. If a specialist looks at your eyes sideways, eye cornea problems will show with an eyeball that bulges outwards. The big danger of rubbing your eyes constantly could eventually deform the shape of your corneas. The cornea is the transparent part of the eye in front that covers the iris, which is the colored part of your eye, and your pupil. A normal cornea is round in shape, but when it is damaged, the eyeball becomes oval and shows a point instead of a gradual curve. The eyeball is made up mainly of fluid, and rubbing your eyes hard increases the pressure on this fluid inside your eye. 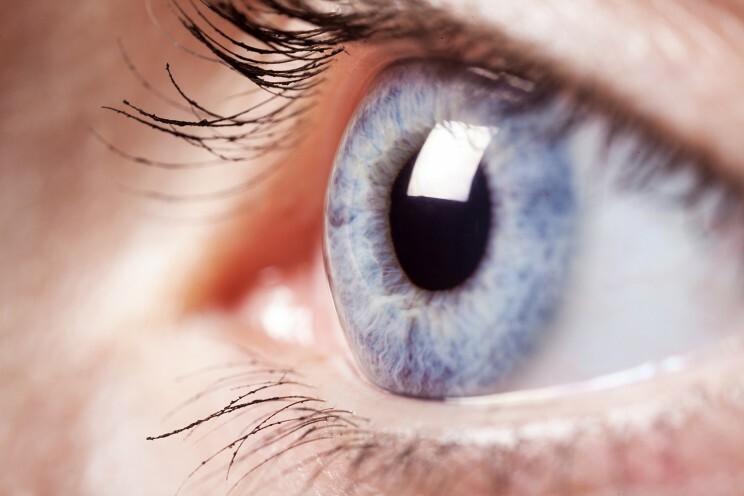 When you rub too often, the shape of your cornea is permanently altered and this will affect your vision. When the cornea bulges outwards, you could end up having double vision, or see things like strips in front of your eyes. Your sensitivity to light is also increased. You may not realize how often you rub your eyes, so tell your family and friends to nag you if they see you doing this. An occasional quick rub of your eyes shouldn’t cause a problem, but you must try and become aware of long term habits that can affect the long-term health of your eyes. Swimming goggles, sleeping on your stomach, exercising with heavy weights, standing on your head, playing wind musical instruments and wearing mascara and not removing it properly before going to bed at night. Did you know that you put up to ten times the extra pressure on your eyelids when you sleep with mascara – a scary thought? Scratched cornea symptoms and damage to the cornea can be repaired by surgery or managed by wearing contact lenses, but prevention is always the best treatment. Think about this article the next time you rub your eyes. Cornea problems can be avoided in later life. If you look after your eyes, in the long run, they will take care of you.